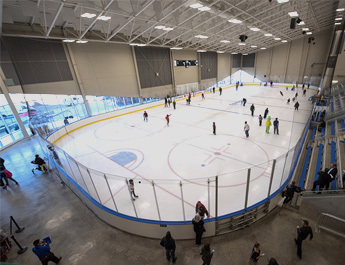 As part of the Rogers Place Project, the Edmonton Downtown Community Arena offers free programs to people living in the neighbourhoods around the facility. Available programs include open public skate, community league skate, early morning fitness skate, parents and tots – sticks and pucks, and older adult skate. Free skates and helmet rentals are available.